The employer and the employee are required to pay payroll taxes. The Internal Revenue Service (IRS) and the state taxation department enforce the federal and state payroll tax laws, respectively. Both institutions have the statutory authority to penalize the employer and the employee for violating their payroll tax obligations. What Taxes Do Employers Have to Match? Employer payroll taxes include matching the employee’s portion of Medicare and Social Security (FICA) taxes, federal unemployment tax (FUTA) and state unemployment tax (SUTA). The employer’s FICA tax portion equals 6.2 percent of gross income up to the annual wage maximum of $106,800 for Social Security and 1.45 percent of all gross income for Medicare. For FUTA tax, the employer pays 6.2 percent of the first $7,000 it pays to each worker, but if it paid its state unemployment tax on time, it gets to take the maximum allowable credit of 5.4 percent. In this case, the FUTA tax rate is .8 percent. The state dictates the SUTA tax rate and the wage base. The employee pays federal income tax, most likely state income tax and FICA taxes. The latter equals the employer’s portion. 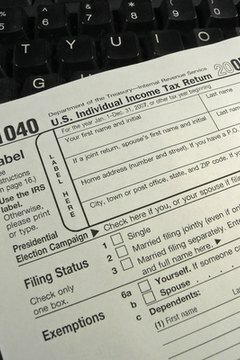 Federal income tax is based on the worker’s filing status, number of allowances and the IRS withholding tax tables for the respective tax year. If the employee is exempt from federal income tax, then he does not pay this tax. The states of Alaska, Florida, Nevada, New Hampshire, South Dakota, Texas, Tennessee, Washington and Wyoming do not impose state income tax. If the state charges it, the employee must pay it. State income tax amount depends on whether the employee is exempt from the tax, or the state income tax withholding tables and the employee’s filing status and number of exemptions. The employee pays payroll taxes via the withholding process. The IRS requires employers to use Form W-4 as one of the criteria for withholding federal income tax. The employee indicates on the W-4 the conditions under which she wants the taxes withheld. This includes indicating her filing status and exemptions. The employer uses the W-4 with the IRS withholding tax tables shown in the IRS Circular E to determine the federal income tax amount. FICA taxes are withheld at the percentages the government sets. If applicable, the employer uses the state income tax form (the state version of Form W-4) plus the state withholding tax tables to figure the tax. The employer reports and forwards federal payroll taxes to the IRS. This includes its and the employee’s portion of FICA taxes, federal income tax and FUTA tax. FICA taxes and federal income are reported and paid together, while FUTA tax is reported and paid separately. The IRS sends all recorded employers an updated Circular E each year to help them figure their reporting and payment schedule and to help them comply with the federal payroll tax laws. State payroll taxes vary by state. The latter sends its respective employers the information it needs to comply with state payroll tax laws. Ferguson, Grace. "Payroll Tax Laws." , https://legalbeagle.com/1563-payroll-tax-laws.html. Accessed 21 April 2019.